Puss in Boots by Charles Perrault. Developer : Saturn Animation Studios Inc.
Added new visual and sound effects. » Puss in Boots by Charles Perrault. The hero of this fairy tale considers himself unlucky. And for good reason. While his older brothers inherited a mill and a donkey, all he got was a cat. But life is full of surprises. Everything you own is a cat? What a wonderful beginning! And on top of that you have legs, hands, and a mind. Give Puss in Boots a pair of boots and there is not telling what a clever cat can do. He might even make you a Marquise! 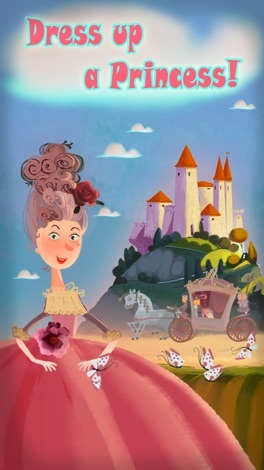 This clever, cautionary fairy tale by Charles Perrault still intrigues readers and engages them to think about the ups and downs of life and the ability to see hidden possibilities in any situation. Most importantly, Puss n Boots teachers kids about the importance of remaining optimistic. Sure, your opponent, or even a Troll, may be bigger and stronger, but that is no reason to give up hope. If you have brains and courage on your side, the battle is half won. The classic tale of Puss in Boots has inspired countless books and films. Now you can enjoy it as an interactive bedtime story. 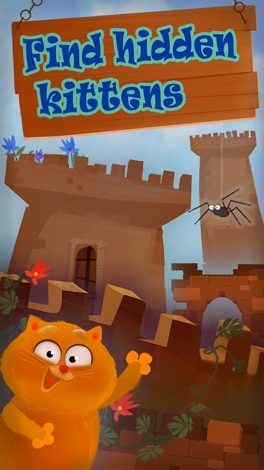 Remaining true to the beloved story of the miller’s son who inherits nothing but a cat, this interactive bedtime story weaves in games and jigsaw puzzles to entertain your children. 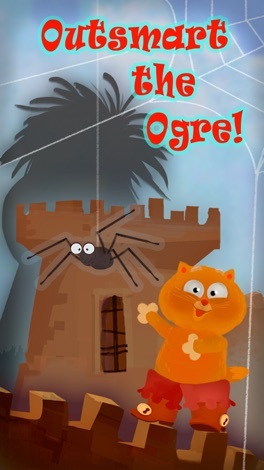 Allow them to jump into the middle of this Rags to Riches fairy tale, joining forces with the loyal cat. They can catch partridges to give the king, plant flowers in the royal garden, and find the miller’s son an outfit suitable for wooing a princess. Your child can play and sign with our heroes, pick out clothes for them, give them treats – even help the royal gardener decorate the palace grounds! The only thing your child needs to engage in these activities is imagination and the desire to experiment. Like all our apps Puss in Boots is interactive, allowing children to listen to the story and immerse themselves in its magic. Kids are not simply listeners, but a part of the story – helping Puss in Boots every step of the way. And last but not least, this audiobook contains significantly more ... illustrations than those developed by the most renowned publishers. -You'll find a 'Night Mode' feature in Menu, which eliminates the “blue light” with one click to avoid overstimulating children during bedtime. It's a unique feature from Pony Apps! -We give readers a choice. You can select autoplay, which reads Puss in Boots aloud. Parents can also turn this option off when they wish to read with their children. -We also added “Fairy Tale Kingdoms” – a unique navigational tool, which allows you to choose the right fairy tale at the right time. This classic bedtime story does what few classic story apps are able to do, stay true to a classic story while adding features to make it worth buying. 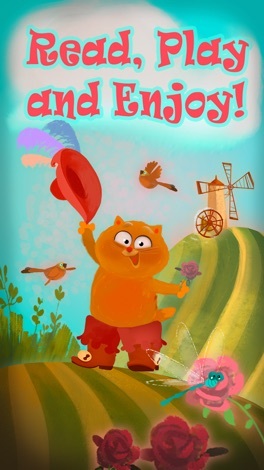 Puss in Boots is beautifully illustrated, packed full of games and gives users lots of custom options including turning off the games during reading time if your little one gets a little too distracted. Puss in Boots is truly a treasure among eBooks or audiobooks. Not only is the story engaging, but it is beautifully illustrated and professionally narrated to add to your enjoyment of the story. There are also fun activities interspersed in the story to keep kids interested and excited to read on. Make reading fun, and allow your children to test the limits of their courage through the magic of this classic fairy tale. 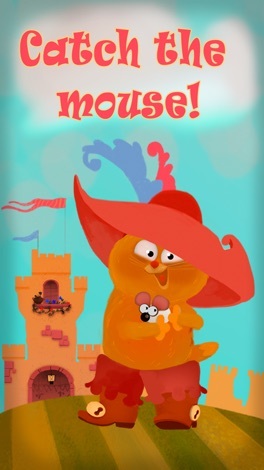 More by Saturn Animation Studios Inc.
Download Puss in Boots by Charles Perrault.